The problem with selecting four winners for the revamped BritWeek Innovation Awards is trying to work out who was the star of the show. Was it the former monk from Bristol turned tech entrepreneur, whose mindfulness app is now used by Serena Williams, 18 of the 32 NFL quarterbacks, Jimmy Fallon and millions of users on a daily basis and whose company employs more than 200 people in the US? Or perhaps the British comedy writer behind Blackadder and Four Weddings and a Funeralturned philanthropist whose Red Nose Day charity, started in the UK – now bringing comedy joy to America – which has raised more than $1.5bn globally for those in need? How about the Cambridge-educated author and media mogul who founded an eponymous online news blog before consuming news on the Internet was even a thing and now runs a company that is changing how people work and live? Or perhaps the Scottish chef who has changed how people think about cooking while entertaining the masses with hundreds of hours of TV programming and also earned 16 Michelin stars? It would be fair to say with Headspace’s Andy Puddicombe, Richard Curtis, Arianna Huffington and Gordon Ramsay as the inaugural winners of our revamped awards, we were somewhat overwhelmed with stars on the evening. And that is probably because, when celebrating what happens when Brits and Americans come together, there is so much success to choose from. BritWeek was formed 12 years ago when Nigel Lythgoe – dancer, director, producer and the man who brought American Idol to the US – walked in to the British Consulate and wanted to partner with the Government. His idea was never about celebrating Britain alone, it was all about celebrating that special union of Britain and America – he and his shows were an example of that and he wanted to celebrate the many other people and companies that had been part of the special relationship. Although this event took place in Los Angeles and all the winners are household names, this wasn’t meant to be just another celebrity evening in Hollywood. Headspace, founded by two Brits, is not only changing millions of lives around the world, it has created hundreds of jobs in America. Arianna Huffington began her inspirational speech with the very pleasing words: “I owe my success in my career to my time in the UK.” She has changed the media landscape with the Huffington Post and is now seeking to change how companies on both sides of the Atlantic – and all over the world – work through Thrive Global. Exporting philanthropy has seen more than $100m raised for children’s charities in the US and beyond since Red Nose Day came over here, building on the extraordinary success of Comic Relief in the UK. And Gordon Ramsay’s restaurants – he seems to have one in every hotel in Vegas – are creating wealth and culinary happiness in the US as well as plenty of entertainment. 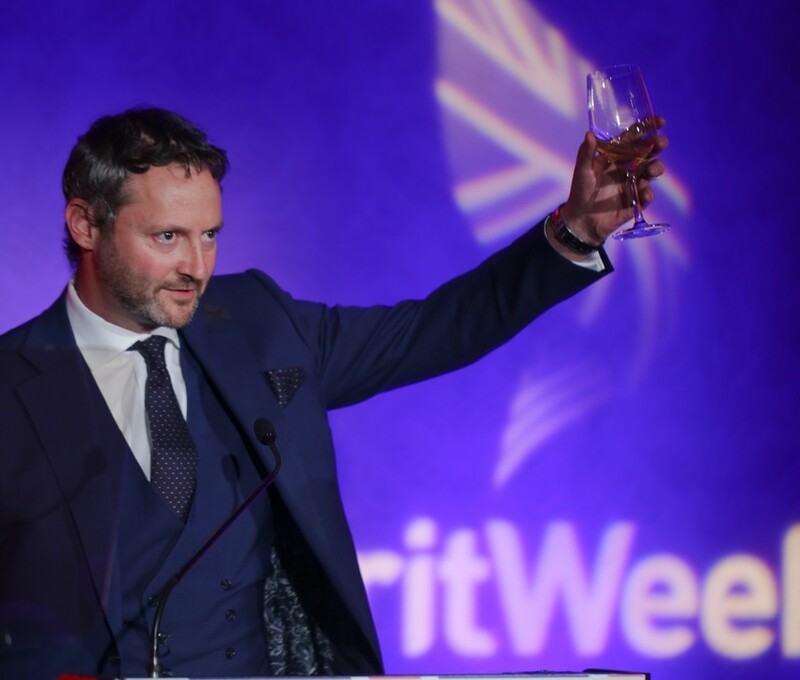 With over a million Americans going to work every day for British companies and the same number employed by Americans in Britain, it is no wonder our BritWeek Board had such a wide field to choose from. Given Britain is the top investment destination globally, and so many Americans and American companies are invested there, if somebody wanted to set up a AmericaWeek in Britain, they would have an equally tough time picking out their winners. So although I said our event, held at the magnificent beachfront Fairmont Hotel in Santa Monica, wasn’t a celebration of Britain. As the British Government, we couldn’t help but sneak in some British luxury, all companies who are doing their bit to keep Americans happy with their incredible offerings. An Aston Martin DB11 to drive, a bespoke Clements and Church suit to wear or either non-alcoholic cocktail Seedlip – the drink you drink when you are not drinking – or the whisky Aberlour, which we used for our 300 guests to toast the honorees. So who was the star of the show? Well it wasn’t a person, but it was a concept upon which everyone in the room could agree. The concept that amazing things happen when Britain and America come together, and that is what our four incredible honorees demonstrated throughout their careers – and what millions on both sides of the Atlantic show every day.